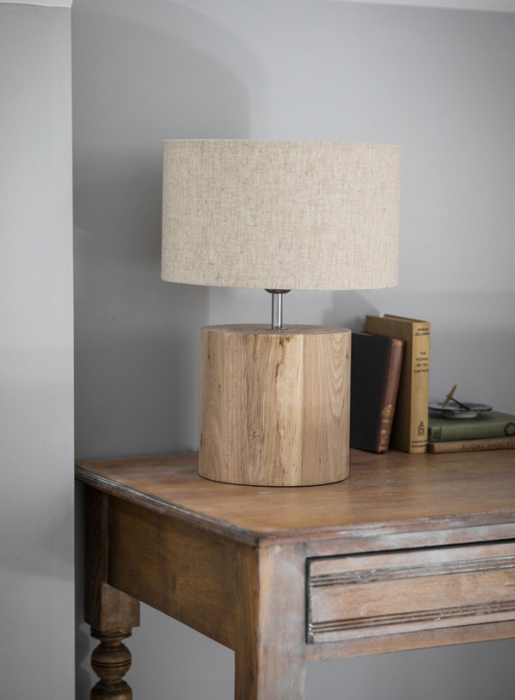 Simple and stunning, all the Small Hanborough Table Lamp needs to stand out is its eye-catching Elm base and simple lines. Our smallest Hanborough boasts the widest base, really highlighting the beauty of the natural wood grain. With a pleasing solidity about it and a cool neutral shade, this lamp will complement all interiors.